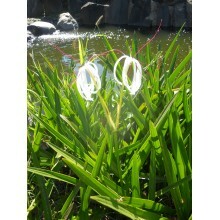 Bulbs There are 48 products. 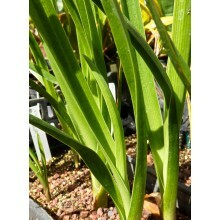 Bulbs are modified stems that grow underground and function as food storage organs during dormancy. 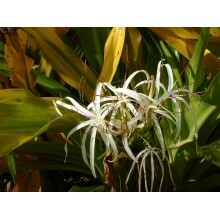 They are widespread in all types of seasonal areas of the world. 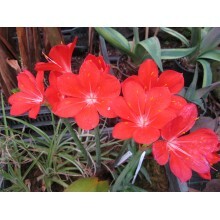 Some of the most spectacular ones occur in deserts and produce showy flowers at the start or the end of the rainy season. 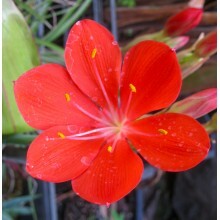 From tulips to onions, hippeastrums or lilies, they are all monocotyledons, except the genus Oxalis, which is the only dicot that produces true bulbs. 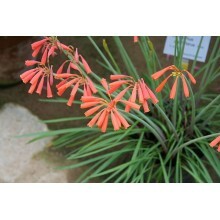 South African endemic from the Eastern Capein Port Elizabeth to Grahamstown and East London. 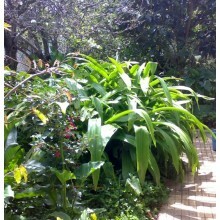 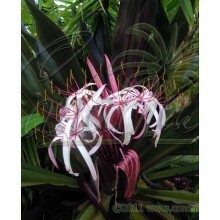 This is one of the cold resistant forms of the learge green-leaved Crinum from the Pacific ocean. 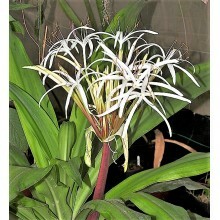 It comes from the South of Japan and can take short frosts. 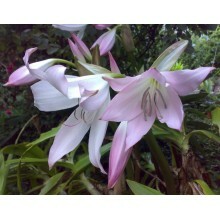 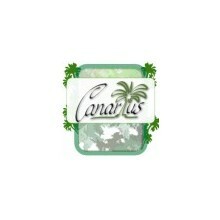 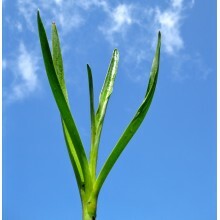 It grows well outdoors in Mediterranean conditions. 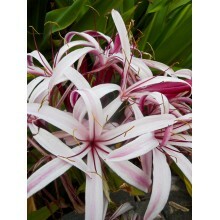 Striking ornamental from the SW Pacific, where it was already used as an ornamental by natives. 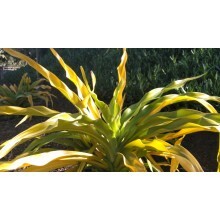 Plant it in full sun on a green backdrop, to enhance the golden colour. 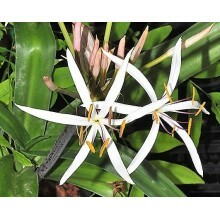 It is both spelled xanthophyllum and zanthophyllum. 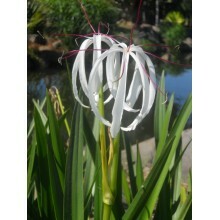 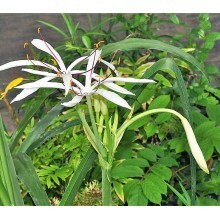 Mid sized crinum native to semi-aquatic environments including swamps. 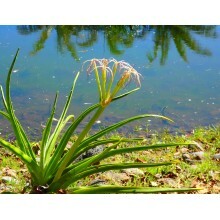 It can be grown in dry soil too. 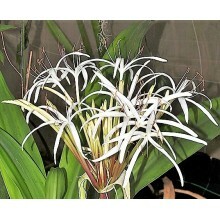 It flowers profusely with umbels of white flowers. 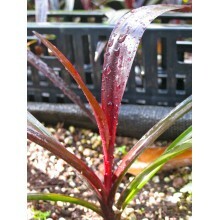 Classic graden hybrid which is very robust an almost ever-blooming. 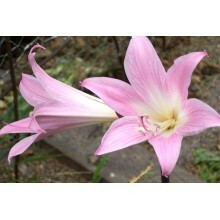 Glossy white and pink flowers are produced in erect umbels. 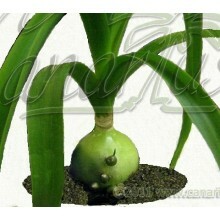 It is reproduced by carefully removing pups from the base. 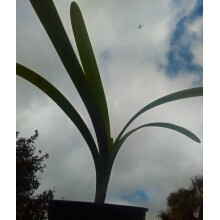 We offer a large rooted pup that can bloom in less than one year. 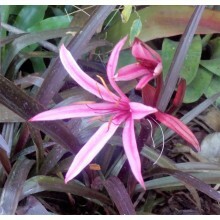 Dwarf "black" crinum with dark red leaves and showy pink flowers. 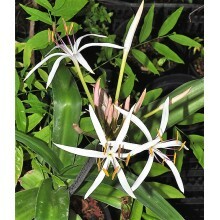 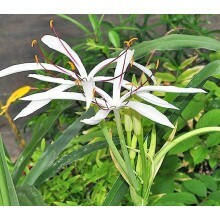 It looks just like a miniature of the much larger Crinum procerum splendens. 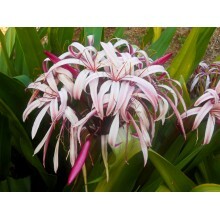 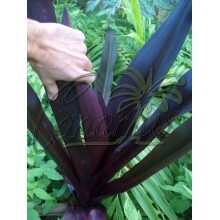 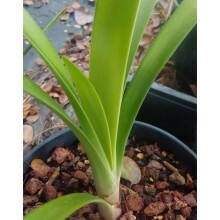 It is possibly a hybrid of that black Crinum and the dwarf Caribbean species Crinum oliganthum. 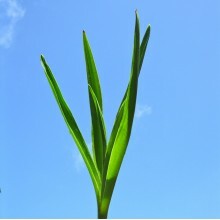 Quite new in the Market!